Evelyn, a documentary by Oscar-winner Orlando von Einsiedel (The White Helmets, Virunga), topped the Observer’s docs to watch out for in Charlie Phillips’ round up of the London film fest. It’s in Exeter, not only to screen but also with added engagement, including a live Q&A with members of the family and film crew, for this deeply personal, deeply affecting story. The Exeter-based global Digital Institute for Early Parenthood (DIEP) is hosting a one-off screening at Exeter Picturehouse of the British film The New Man. The repainting and refurbishment of the outside of the Exeter Picturehouse, to coincide with the cinema’s 20th anniversary this October, is now complete. 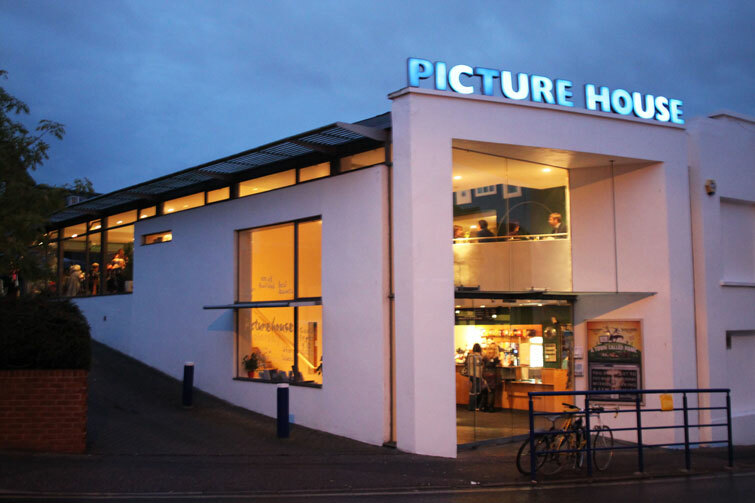 The Exeter Picturehouse has launched a new film competition especially for its members -or rather, the Picturehouse chain, which includes the Exeter Picturehouse, has launched a film competition for its members. Customers at the Exeter Picturehouse have received an early Christmas present with the completion of extensive refurbishment work of the cinema’s toilets. Sky Atlantic, The Sunday Times and Picturehouse Entertainment have got together to simulcast the eagerly anticipated first episode of Game of Thrones at Exeter Picturehouse, Season 5 in line with HBO’s US premiere. You can’t help but see politics at work in Arthur Miller’s classic play, the Crucible. But if you couldn’t catch see the play in its run at the Old Vic -or you did, and you want to see it again -then you could pop along to the Exeter Picturehouse for a screening. Wings, a ground-breaking aeronautical flick, which the first film to win an Academy Award for Best Picture in 1929, is at the Exeter Picturehouse as a World War I Centenary Screening. A new season of opera live in HD from the New York Metropolitan Opera starts on the big screen at the Exeter Picturehouse on Saturday 11 October at 5.55pm with Verdi’s Macbeth. The National Theatre’s thrilling broadcast of Frankenstein returns to the Exeter Picturehouse for a limited time for Halloween. Hold onto your hats and get into your seats for a special preview of Richard Ayoade‘s second movie, The Double, at the Exeter Picturehouse, followed by a live satellite Q&A with Richard hosted by Jonathan Ross. Are you or any of your local friends, family or colleagues Moldovan? If so, Tony Hawks would love to hear from you. Ran, one of the last films of cinema legend Akira Kurosawa, is loosely based on the King Lear, and getting a one-night only slot at the Exeter Picturehouse. Exeter’s Shooters in the Pub, the informal chin wag of media and movie types, takes place tonight (Monday, February 7) at the Exeter Picturehouse. If it’s the first Monday of the month (quick, check the calendar! ), then it’s time for Exeter’s Shooters in the Pub, at the Exeter Picturehouse. There’s a second chance to see the Phoenix Digital Bursary Films in a special HD screening at the Exeter Picturehouse on Monday, November 15 at 6.30pm. The opening night of the Exeter Picturehouse after its three-and-a-half week re-fit was a fine affair, though it was a close call to get all in place for the big night, as is usually the case with such projects. The refurbished Exeter Picturehouse is due to open to the public on Friday, October 8 after a £250,000 refit. The Exeter Picturehouse is showing the documentary When You’re Strange: A Film about The Doors on Tuesday, July 20 at 9pm. The Exeter Picturehouse will close for two weeks later in the year for a major refurbishment. Richard Linklater, Zac Efron, Christian McKay and Claire Danes are only going to be at The Gate, Notting Hill, on Thursday, November 19, at 6.20pm -and why the hell should you care? Well, they’re being beamed live to the Exeter Picturehouse for a special screening of Me and Orson Welles and a Q&A, that’s why! Exeter College students will be screening a slew of their shorts at Exeter Picturehouse to celebrate their national diploma in media, on Tuesday, July 7, at 7pm.